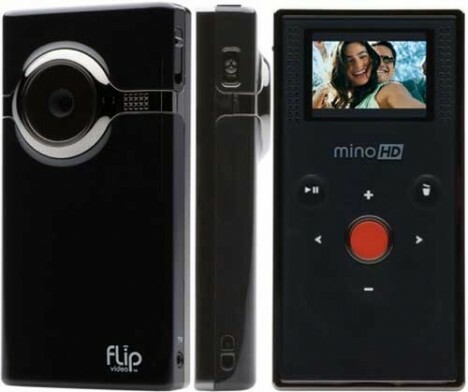 Pure Digital Technologies, the maker of Flip Video, finally announced the UK launch of their smallest high-definition pocket camcorder in the world – Flip minoHD. The ultra-compact Flip mino HD weighs just three ounces (94g) and standing at only 4 inches tall (10cm) can records 720p video on its 4GB internal memory up to 60 minutes. 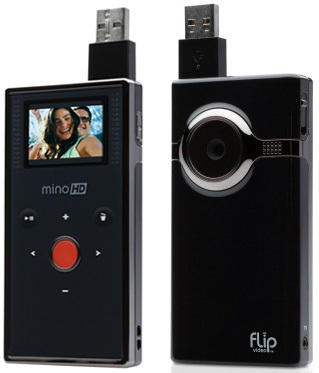 Its signature flip-out USB stick makes uploading of videos from the Flip minoHD a brisk task. “The product has become one of the most successful camcorders in the U.S. and there has been substantial interest in an HD product from the UK so we are delighted to now launch here,” said Ray Sangster, EMEA President at Flip Video. It was announced on March 19, 2009 that the networking giant, Cisco Systems has acquired Pure Digital Technologies, the maker of Flip Video for 590 million USD in stock.